Attention all cryptozoologists! Add the North Carolina High Country as a destination to pursue the legendary Sasquatch, aka Bigfoot. 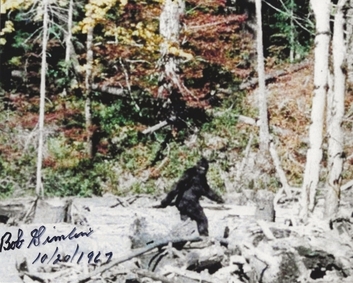 Earlier this summer a local man from Boone claims to have encountered the mythical(?) humanoid while vacationing in Henderson County. See the video here. Come to the North Carolina mountains and explore the wonders and mysteries of nature. Posted in Outdoor Recreation | Comments Off on Bigfoot in Boone?